"All art constantly aspires towards the condition of music " - so was the life of Joseph Agee who lived a life of performance and celebration. Dr. Joseph Agee, born in Jackson, MS, was early educated in the public schools of Mississippi and graduated in Music from Jackson State University as a member of the "Diamond Dazzles" Class of 1963. While a student at Jackson State, he was appointed student organist his senior year by his organ teacher, Dr. Robert Henry (himself a student of Arthur Poister), and Jackson State University President, Dr. Jacob L. Reddix. This was the beginning of a stellar life in performance for a talented young artist who became noted as one of America's most gifted and versatile musicians. His advanced educational pursuits directed him through Wayne State University and Central College, both of Detroit, MI. He studied organ at Christ Church Cranbrook, Birmingham, MI; choral techniques at Southern University, Baton Rouge, LA; and piano and voice at the Julliard School of Music in New York City. Realizing that it is possible to fly without motors, but not without knowledge and skill, Dr. Agee studied with private teachers in piano: Mischa Kottler of the Detroit Symphony Orchestra; Professor Robert Hams at Julliard; and Ms. Ethel A. Woods, Sherwood School of Music, Chicago; in voice with Professor Celeste Cole, Wayne State University; and in organ with John Grain, St. Joseph's Episcopal Church, Detroit. Through a career of great musical skill, Dr. Agee performed innumerable solos, piano concerts, and organ recitals. He was quite celebrated as an accompanist at the organ with Ms. Ernestine Ross at the piano for weddings and special occasions locally and throughout the nation. As an accompanist, whether organ or piano, his role was unending. Two of his most notable performances were at the historic Orchestra Hall and at the Joe Louis Arena, in Detroit, MI. 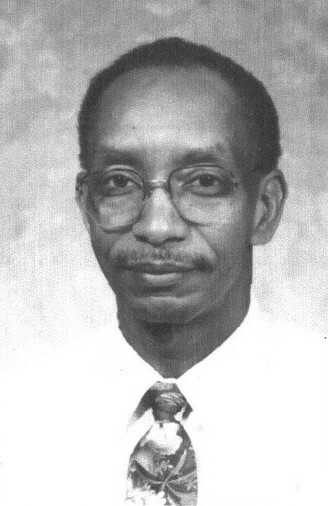 Dr. Agee began his career as Chair of the Department of Music at Okolona Junior College, Okolona, MS. As a public school teacher, he worked in the Detroit Public Schools and served as pianist for a 150- voice male choir at Greater North Mount Moriah Baptist Church in Detroit. Upon his return to Jackson, he worked in the Jackson Public Schools. At his church in Jackson, Black's Chapel Missionary Baptist, he founded, organized, and conducted "The Agee Ensemble", a 55 voice male choir distinguished for its performances. For many years before uniting with Black's Chapel, Agee served as Choirmaster at St. Mark's Episcopal Church, served for ten years as organ and piano performer on Channel 12 Television's "Songs for Sunday," served as pianist for New Mount Zion Baptist Church, and provided services for a variety of local churches and schools who would request him on short notice. Local churches kept a high demand for his services as a Choral and Music Director. A member of the American Guild of Organists. in 2005 he joined the faculty of Tougaloo College as instructor in voice, and college organist. Dr. Agee loved his artistry and was honored as Outstanding Young Man for Past and Present Community Achievements in America, and was nominated and received the Daviticus Award "Best Gospel Pianist" from the Gospel Academy of Recording Arts and Sciences in Detroit. He enjoyed travelling and pursuing his hobbies of photography, meeting people, building stereo sets, reading, and listening to good music. This book of Joseph Agee's musically accomplished life may well be closed with the quote "It is Well with My Soul."